Whatever the exact words, the Balzacian worldview came to mind after reading the NY Times series of articles on the filthy rich and mostly criminal owners of the city’s most expensive condos. They sank in further after watching an episode on “Sixty Minutes” about HSBC, a Swiss bank that facilitated tax evasion and worse. I suppose that I should have long been inured to the criminality of the super-rich but for some reason I always stop dead in my tracks when I encounter it anew on such a grand scale. I end up feeling like Joe Buck, the Texas hustler who has come to NY to make it as a professional gigolo in “Midnight Cowboy”, standing over a man sprawled out unconscious on the sidewalk as people pass him by with barely a glance. Unlike the rest of humanity, Buck tells himself that something is wrong. The more the opinions of the author remain hidden, the better for the work of art. The realism I allude to may crop out even in spite of the author’s opinions. Let me refer to an example. Balzac, whom I consider a far greater master of realism than all the Zolas passés, présents et a venir [past, present and future], in “La Comédie humaine” gives us a most wonderfully realistic history of French ‘Society’, especially of le monde parisien [the Parisian social world], describing, chronicle-fashion, almost year by year from 1816 to 1848 the progressive inroads of the rising bourgeoisie upon the society of nobles, that reconstituted itself after 1815 and that set up again, as far as it could, the standard of la viellie politesse française [French refinement]. He describes how the last remnants of this, to him, model society gradually succumbed before the intrusion of the vulgar monied upstart, or were corrupted by him; how the grand dame whose conjugal infidelities were but a mode of asserting herself in perfect accordance with the way she had been disposed of in marriage, gave way to the bourgeoisie, who horned her husband for cash or cashmere; and around this central picture he groups a complete history of French Society from which, even in economic details (for instance the rearrangement of real and personal property after the Revolution) I have learned more than from all the professed historians, economists, and statisticians of the period together. In fact the invasion of oligarchs and crooks has been the opposite of a godsend. These condominiums enjoy tax breaks originally intended to stimulate the construction of middle-class housing but real estate developers obviously find it more profitable to build high-rises like the Time-Warner Center that is profiled in the articles. Built shortly after September 11, 2001, the ultra-luxury building was advertised as a fortress for the super-rich that had more to fear from the workers and peasants they were screwing than Islamic radicals. Perhaps the most eye-opening example of how larceny and power politics commingle is found in part five in the series titled “At the Time Warner Center, an Enclave of Powerful Russians”. If you, like me, place little credence in the notion of the Kremlin and its retinue of connected oligarchs as some kind of anti-imperialist vanguard, this profile of Andrey Vavilov is a must read. Vavilov was Boris Yeltsin’s deputy finance minister and like many of his top officials cultivated ties with American inside-the-beltway policy wonks and power brokers at places like the Brookings Institution. Vavilov was one of the key architects who advised Yeltsin on turning state-owned industry, particularly in the energy sphere, into get-rich-quick bonanzas for the managers benefiting from privatization including himself. Cashing in on a sale of a oil company being sold back to the state under Putin to the tune of $600 million, he was not put off by the price tag of $37.5 million for an 8,275 square foot penthouse in the Time Warner Center. In addition to this penthouse, Vavilov owns an Airbus jet, apartments in Monaco and Beverly Hills, and recently purchased two diamonds for his wife (55 and 59.5 carats) worth a cool $60 million. He is also a visiting professor of economics at Penn State, where he must be educating a new generation of economists on how to game the system for Wall Street hedge funds and the like. Like many on Wall Street, Vavilov has managed to avoid a prison cell despite the serious allegations made against him over the years, including the mishandling of nearly a quarter-billion dollars in proceeds from the sale of MIG’s to India. Just around the time the law was breathing down his neck in 2007, he was elected senator to the Russian parliament, which gave him immunity. The case was dropped a year later because the statue of limitations had expired. Despite Mr. Vavilov’s close association with the Yeltsin administration, much of his wealth was acquired later, as Mr. Putin’s government was consolidating the nation’s oil industry in one state-affiliated super company, Rosneft. In 2000, Mr. Vavilov had acquired a small oil company, Severnaya Neft, or Northern Oil, for $25 million. When Rosneft purchased Severnaya Neft in 2003 for $600 million, the deal was widely criticized as having been larded with kickbacks for Kremlin insiders. In a now-legendary confrontation at the Kremlin, Mikhail B. Khodorkovsky, chairman of the oil giant Yukos, challenged Mr. Putin about the purchase. Many people believed that it was Mr. Putin’s anger over the very public encounter that sparked his campaign against Mr. Khodorkovsky, who would be stripped of his company, prosecuted and imprisoned. For most of the left, particularly those people who remain impressed by NYU professor emeritus Stephen F. Cohen who has the same relationship to Putin that Anna Louise Strong had to Mao Zedong, there’s very little understanding of how Putin continues Yeltsin’s policies rather than breaks with them. In fact, there is an analogy with how Cohen’s wife’s vanity publication, ie. The Nation Magazine, fails to appreciate how much Obama is a continuation of George W. Bush. New Year’s Eve 1999 – when Yeltsin appeared on Russian TV screens to announce his resignation as president in favour of Putin – is often taken to mark a major turning point, from the ‘fevered 1990s’ to the stability of the ‘Zero Years’, as the 2000s are known, the moment when Yeltsin’s erratic improvisation gave way to the cold calculation personified in Putin. Economically, the prolonged post-Soviet collapse was followed by recovery after the 1998 ruble crash and then an oil-fuelled boom, while in the media a boisterous incoherent pluralism was replaced by deadening consensus. But there were deeper continuities in the system both men commanded. Politically, the ‘managed democracy’ of the 2000s was not a perversion of Yeltsinism but its maturation. Faced with a fractious legislature – the Congress of People’s Deputies elected in 1990 – Yeltsin bombed it into submission in October 1993 and then rewrote the constitution along hyper-presidential lines, getting it approved by a rigged referendum that December. Even before that, he had sidestepped democratic accountability by implementing much of the key legislation that shaped the post-Soviet economy through a series of decrees – some of them, notably on privatisation, drafted by Western advisers. Thanks to the notorious ‘loans for shares’ deals of 1995-96, a handful of oligarchs obtained vast holdings in oil and metals companies in exchange for flooding the media outlets they owned with anti-Communist propaganda – a vital contribution to prolonging Yeltsin’s grip on power, though generous financial assistance from the West and electoral violations also played their part. In Chechnya, Yeltsin moved to crush local aspirations to sovereignty, unleashing total war against the civilian population in 1994, though the Russian army had been fought to a standstill by 1996. I suppose there is very little expectation that Swiss Banks are up to anything except abetting criminals but the segment on Sixty Minutes last Sunday about HSBC was enough to bring out the Joe Buck in me. You can watch the entire thing here. Bill Whitaker interviews attorney Jack Blum, who was graduating the year I entered Bard College. Blum is a capable investigator whose best-known efforts on behalf of the public interest was an aide to John Kerry in his investigation of the Nicaraguan contra-cocaine connection back in 1986 when he still had a shred of integrity. I never had any contact with Blum but he was a fairly typical young Democrat type of student who at least had the good sense to stay clear of electoral politics. HIGHLIGHT: The largest and most damaging Swiss bank heist in history doesn`t involve stolen money but stolen computer files with more than one hundred thousand names tied to Swiss bank accounts at HSBC, the second largest commercial bank in the world. A thirty-seven-year-old computer security specialist named Herve Falciani stole the huge cache of data in 2007 and gave it to the French government. BILL WHITAKER: The largest and most damaging Swiss bank heist in history doesn`t involve stolen money but stolen computer files with more than one hundred thousand names tied to Swiss bank accounts at HSBC, the second largest commercial bank in the world. A thirty-seven-year-old computer security specialist named Herve Falciani stole the huge cache of data in 2007 and gave it to the French government. It`s now being used to go after tax cheats all over the world. 60 MINUTES, working with a group called the International Consortium of Investigative Journalists, obtained the leaked files. They show the bank did business with a collection of international outlaws: Tax dodgers, arms dealers and drug smugglers–offering a rare glimpse into the highly secretive world of Swiss banking. BILL WHITAKER (voiceover): This is the stolen data that`s shaking the Swiss banking world to its core. It contains names, nationalities, account information, deposit amounts–but most remarkable are these detailed notes revealing the private dealings between HSBC and its clients. JACK BLUM: Well, the amount of information here that has come public is extraordinary. Absolutely extraordinary. BILL WHITAKER (voiceover): Few people know more about money laundering and tax evasion by banks than Jack Blum. JACK BLUM: You have a very serious problem. BILL WHITAKER (voiceover): He`s a former U.S. Senate staff investigator. We asked him to analyze the files for us. JACK BLUM: If you read these notes, what you understand is the bank is trying to accommodate the secrecy needs of the client. And that`s the first concern. JACK BLUM: You get into the notes and you find that they offer various products: shell corporations, trusts, various ways of concealing the ownership of the account. They offer products that they`re going to give to the customer that will help with a concealment. BILL WHITAKER (voiceover): Concealment is what Irish businessman John Cashell got from HSBC. His file contained these notes by a bank employee: Cashell`s “…pre-occupation is with the risk of disclosure to the Irish authorities.” The employee went on, “…I endeavored to reassure him that there is no risk of that happening.” Cashell was later convicted of tax evasion. 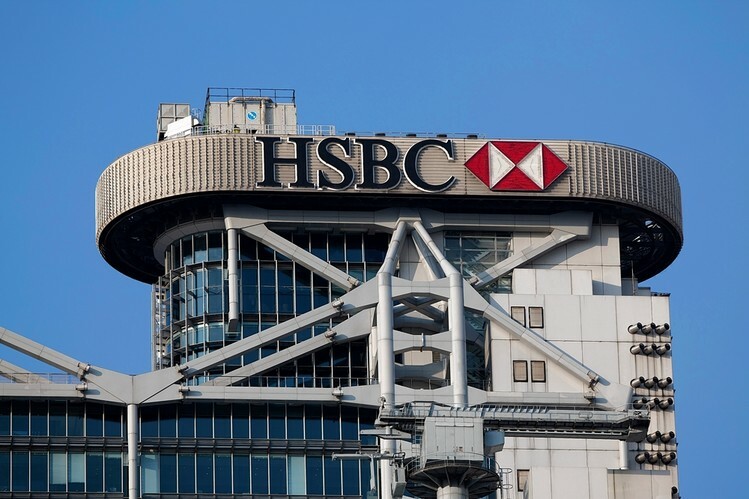 The bank files we examined contained more than four thousand names of people with connections to the U.S., holding more than thirteen billion in HSBC accounts. One was a New Jersey realtor. The notes in her file reveal that she and her family wanted assurance that her assets would be well hidden from U.S. tax collectors. JACK BLUM: And she expresses concerns to the bank, which in turn reassure her that they will find ways to keep her name out of the sights of IRS. BILL WHITAKER: There seems to be evidence of the bank actively helping clients evade, if not cheat. In the days before the Revolution, Jean-Joachim Goriot was simply a workman in the employ of a vermicelli maker. He was a skilful, thrifty workman, sufficiently enterprising to buy his master’s business when the latter fell a chance victim to the disturbances of 1789. Goriot established himself in the Rue de la Jussienne, close to the Corn Exchange. His plain good sense led him to accept the position of President of the Section, so as to secure for his business the protection of those in power at that dangerous epoch. This prudent step had led to success; the foundations of his fortune were laid in the time of the Scarcity (real or artificial), when the price of grain of all kinds rose enormously in Paris. People used to fight for bread at the bakers’ doors; while other persons went to the grocers’ shops and bought Italian paste foods without brawling over it. It was during this year that Goriot made the money, which, at a later time, was to give him all the advantage of the great capitalist over the small buyer; he had, moreover, the usual luck of average ability; his mediocrity was the salvation of him. He excited no one’s envy, it was not even suspected that he was rich till the peril of being rich was over, and all his intelligence was concentrated, not on political, but on commercial speculations. Goriot was an authority second to none on all questions relating to corn, flour, and “middlings”; and the production, storage, and quality of grain. He could estimate the yield of the harvest, and foresee market prices; he bought his cereals in Sicily, and imported Russian wheat. Any one who had heard him hold forth on the regulations that control the importation and exportation of grain, who had seen his grasp of the subject, his clear insight into the principles involved, his appreciation of weak points in the way that the system worked, would have thought that here was the stuff of which a minister is made. Patient, active, and persevering, energetic and prompt in action, he surveyed his business horizon with an eagle eye. Nothing there took him by surprise; he foresaw all things, knew all that was happening, and kept his own counsel; he was a diplomatist in his quick comprehension of a situation; and in the routine of business he was as patient and plodding as a soldier on the march. But beyond this business horizon he could not see. He used to spend his hours of leisure on the threshold of his shop, leaning against the framework of the door. Take him from his dark little counting-house, and he became once more the rough, slow-witted workman, a man who cannot understand a piece of reasoning, who is indifferent to all intellectual pleasures, and falls asleep at the play, a Parisian Dolibom in short, against whose stupidity other minds are powerless. “Since the finance aristocracy made the laws, was at the head of the administration of the state, had command of all the organized public authorities, dominated public opinion through the actual state of affairs and through the press, the same prostitution, the same shameless cheating, the same mania to get rich was repeated in every sphere, from the court to the Cafe Borgne to get rich not by production, but by pocketing the already available wealth of others, Clashing every moment with the bourgeois laws themselves, an unbridled assertion of unhealthy and dissolute appetites manifested itself, particularly at the top of bourgeois society- lusts wherein wealth derived from gambling naturally seeks its satisfaction, where pleasure becomes debauched, where money, filth, and blood commingle. The finance aristocracy, in its mode of acquisition as well as in its pleasures, is nothing but the rebirth of the lumpenproletariat on the heights of bourgeois society”. Don’t you think that the ‘nouveau riche’ is an all too convenient target for our scorn, especially when we’re discussing the global financial system? Whenever the critique of capitalism takes this form – complaining of the ‘moral rot’, the ‘scum’, the ‘upstarts’, the idea that ‘the race is not to the swift’ – it enters dangerous territory, because there’s the implicit suggestion that things would be improved if wealth flowed to those with culture and ‘class’ (in the colloquial sense of the term). And since we know that this isn’t the case, what good does it do to focus on Russian oligarchs? A great deal of the business of exploitation gets done by Westerners who have an appreciation of the arts, and it was the haute bourgeoisie (educated at prestigious American and English universities) that produced those advisers who went to Russia to establish a neoliberal ‘managed democracy’. They are just as criminal as the ‘kleptocratic’ elements of Russian society, if not more so, but they are rarely criticised in these terms. In fact it’s really only the self-described anti-imperialists who are willing to do this consistently. Of course you acknowledge that Marx and Engels didn’t agree with Balzac’s politics, and I’m sure you’re aware that criminal capitalist accumulation isn’t limited to the BRICS countries, but if we allow a psychic link to develop between the ‘super rich’ and Putin (or the super-rich and Saudi Arabia, or the UAE, etc. ), it’s going to be very easy for the US to drum up support for war once the crisis becomes acute enough to warrant it. Discussion of things like LIBOR and HSBC’s tax avoidance packages needs to reveal the lawlessness of Western institutions. Even before the world’s billionaires ‘invaded’ (your term) New York / London, financial capital was headquartered there. If you occlude this fact you risk guiding people into nationalism. That would be the case if this was the only article I ever wrote about the rich. I really like this article. I don’t think we see nearly enough discussions of this kind, especially discussions that point to the ways in which wealth and corruption are creating a new and sinister urban environment. IMHO, the specific territory is virtually uncharted. I’ve tried in vain to discover anything here that opposes new, vulgar wealth to old, cultured wealth or suggests that somehow the latter is preferable. I just can’t find anything. Of course, the piece does point to new and deeply disturbing monuments to criminal wealth, like the loathsome Time-Warner Center. But discussing the growing discrepancy between the 1% and the 99% and the increasingly brutal self-exhibition of the arrogant rich hardly qualifies as a snob rejection of new money in favor of old, or of popular culture in favor of elitist high culture. Besides, for longer than anyone alive can remember, Swiss banks have catered impartially and criminally to personified cash of all kinds, new or old, so there’s nothing specific to the “nouveau riche” in that part of the article. It’s just illuminating and timely. But maybe jr is just another pseudo-egalitarian who finds references to Balzac–and maybe even Marx–presumptuous and offensive because “cultural.” There’s a lot of that around among alleged intellectuals. Speaking of Bard, your former educational haunt, it should gladden you that your good friend Leon Botstein, President for Life at Bard, was personally at the latest commencement for the Bard Prison Initiative at Eastern Correctional, along with 67 other Bard folk. The honored special guest, and recipient of a custom-made honorary “Doctor of Divinity” from your exalted secular institution? None other, than, you guessed it, straight from his bishopric, James Dolan of New York City, NY. The “Archbishop.” He and Botstein must have made quite a pair.